In Match 12 of VIVO Indian Premier League 2019 (IPL 2019), when Chennai Super Kings (CSK) take on Rajasthan Royals the spotlight will be on the pitch at M Chidambaram Stadium in Chennai. The IPL 2019 opener saw a rank turner in Chennai as Royal Challengers Bangalore were bundled out for 70, a target that CSK achieved in the 18th over to win by seven wickets. But the slowness of the track drew criticism from both the captains -- Mahendra Singh Dhoni and Virat Kohli. CSK will aim to win the match which would help them to hold the top position in 2019 IPL points table. Meanwhile, CSK has started the season with two straight wins and will look to keep the momentum going. After beating RCB, they rode on a team effort to prevail over Delhi Capitals in their second outing. Not known to make too many changes to the playing 11, it remains to be seen if CSK continue to play with just three overseas players in today's match, thereby keeping South Africa captain Faf du Plessis in the reserves. The Super Kings bowlers have delivered on both the occasions so far but same can't be said about the batting line-up and skipper Dhoni, who shone with the bat against DC, will hope that the rest of the batsmen step up. 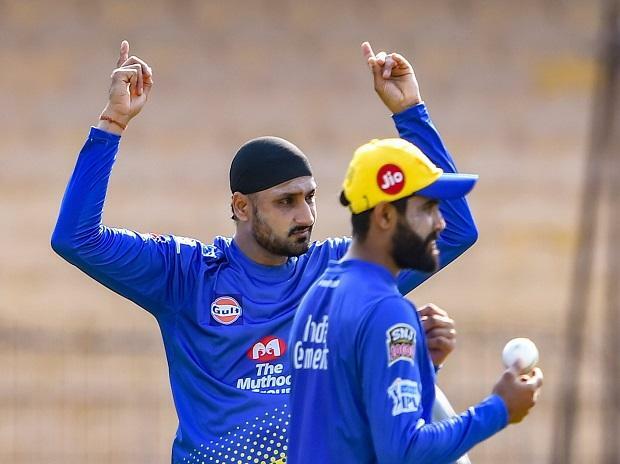 Veterans Harbhajan Singh, Imran Tahir and Dwayne Bravo came up with impressive performances and will look to do continue the good work. In contrast, the Rajasthan have lost both their matches so far and would need to step up if they aim to breach the reigning champions' fortress. The Royals were pipped in a close game by Kings XI Punjab, in which Ravichandran Ashwin's 'mankading' of Jos Buttler hogged the limelight, while they lost to Sunrisers Hyderabad in a high-scoring clash here last night. Despite Sanju Samson's 102 not out, the Royals lost by five wickets as David Warner (69 off 37 balls) enabled Sunrisers Hyderabad chase down a mammoth 199-run target. Rajasthan skipper Ajinkya Rahane would be happy with the batting but expect his bowlers to up the ante. The onus would be on the bowlers to find ways to contain a mighty CSK batting unit if the Royals want to see a reversal of fortunes. It will be a contest between Rajasthan's formidable batting line-up comprising Rahane, Buttler, Steve Smith, Ben Stokes and Samson versus a spin-heavy CSK bowling. CSK vs RR match live streaming will be available live on Star Sports 1 HD, Star Sports 1 in English Commentary and Star Gold in Hindi Commentary. One can also live stream the CSK vs RR 2019 match on Hotstar app and website. Chennai Super Kings squad: MS Dhoni (captain & WK), Suresh Raina, Ambati Rayudu, Shane Watson, Faf du Plessis, Murali Vijay, Kedar Jadhav, Sam Billings, Ravindra Jadeja, Dhruv Shorey, Chaitanya Bishnoi, Rituraj Gaikwad, Dwayne Bravo, Karn Sharma, Imran Tahir, Harbhajan Singh, Mitchell Santner, Shardul Thakur, Mohit Sharma, K M Asif, David Willey, Deepak Chahar, N Jagadeesan (wk).